Every day, somebody across the globe will discover a lump on his dog and will ask himself or to people around him, "My dog has a lump, what can it be?" We may start wondering if the dog got bit from a bug or if it's just a temporary swelling that may go away. Some owners may even ignore the lump, thinking it is just something minor, especially if it's small in size. Others may take a "wait and see" approach, which means they'll keep an eye on it and see the vet only if it gets bigger. Finally, some will see the vet the next day because they are concerned. Different people have different approaches in dealing with the appearance of a lump on their dogs, but who is ultimately right? There is really no way to tell the correct approach in these cases, as it highly depends on what the lump ultimately turns out to be. The owner who ignores it may be lucky if it turns out to just be a local reaction to a bug bite. The owner who waits may be lucky if the lump just stays the same size over the next weeks and months. The owner who sees the vet the next day may be lucky he did so since he caught a malignant growth in its earliest stages, but things don't always turn out this way. Learn why all lumps, regardless of appearance, should be seen by your vet. In the next paragraphs, we will take a look at some answers to the common question "My dog has a lump; what can it be?" My Dog Has a Lump What Could it Be? So you found the lump on your dog and now you are skimming through websites and the entire blogosphere in hopes of trying to figure out what it can be. In this article, I will be doing you a big favor and saving you a great amount of time. The truth is, you may never find out. This may burst the bubble to many of those hoping for a straight answer and a possible Internet diagnosis courtesy of Mr. Google. There are many reasons why you cannot know exactly what that lump is, unless you saw a bug bite your dog and you are 100 percent sure that's why your dog got that temporary local irritation, but then again, if you knew, you wouldn't be searching the web, would you?. Following are some reasons, why you won't ever be 100 percent sure what a lump is until you see your vet and why it's not safe making assumptions on what it is when it comes to lumps. Of course, it doesn't hurt to do some harmless research just to look at possibilities and get an idea what to possibly expect, but you should never assume what you read or see can offer a diagnosis and can be used as a substitute for veterinary advice! Your Vet Won't Likely Know Either! Countless owners bring their dogs to the vet and ask their vet "my dog got this lump, do you know what it is?" They are often hopeful their vet says it's nothing and sends them home. They are then surprised though when the vet shrugs his shoulders and confesses that he doesn't have a clue what type of lump it is exactly. You may think, without saying it out loud: "What do you mean you don't know? You're the vet, you should know!." Please, don't take it on your vet, he is being totally honest, and you should thank him for his integrity in not making guessed assumptions. Veterinarian oncologist Susan Ettinger says it crystal clear. She claims that "No one — not a vet, not an oncologist, and not you — can tell what a lump is just by feeling. Not even the most experienced veterinarian can look at or feel a mass and know if it is cancer or not." So if your vet who has gone to vet school for many years to get his degree and license, but doesn't know, how can somebody on the Internet tell you exactly what it is? How can you figure it out? You may wonder at this point: why is that? Why can't your vet over the years learn to recognize what kind of lump your dog has? Read on to learn more about why lumps are so difficult to diagnose. So you found a small lump on your dog. You may assume that just because it's small, your dog looks healthy and it's not not growing fast over the course of a few days, your dog is safe from a possible malignancy. You may also think that since your dog's lump looks like another benign lump you have seen in an image over the Internet, he must have the same thing. Truth is, there are many types of lumps and just because your dog's lump looks similar to a picture of a benign one doesn't necessarily mean it's just a benign lump you can ignore. Not all lumps are benign dog fatty tumors (lipomas)! You're Only Looking at the Top of the Iceberg! Imagine being invited to a contest where you are brought to a room where there are over 200 pies displayed on many tables. A person points to a pie and asks you to guess what type of pie it is. You have nothing to help you out. You can't taste the pie, smell the pie or open the pie to see its content. You will have to rely on the sight of the pie alone. You end up guessing because there are no clues to help you out, so you say "peach pie", so they slice the pie, and of course, you are wrong. The same goes with lumps, you don't know what you are dealing with through sight and touch alone unless you do a fine needle aspirate. In a fine needle aspirate procedure, your vet collects cells and/or fluids using a small needle. The collected cells and/or fluids are then placed on a glass side and sent to pathology for evaluation. Only after the pathologist looks at the collected sample and sends a report, your vet can let you know what the lump exactly is. This can ultimately help sort out the malignant growths from the benign ones. *Note: some lumps may be tricky to identify. In some cases, a fine needle aspiration may come back inconclusive or suspicious and a biopsy may be needed or the vet may suggest to simply remove the lump and send the whole thing to pathology. Found a lump? Keep track of your dog's lumps with this helpful body map! Courtesy of Southern Arizona Veterinary Oncology, a wonderful resource for treating cancer in pets, is this helpful body map for dog owners to record their dog's lumps, locations and findings. When in Doubt, Please Sort It Out! You still may at times feel tempted to wait to have that lump checked out, just because it's small, looks innocent-looking and isn't growing much. Perhaps, even your vet suggested you to do so. There's a scary trend going on and owners should be aware of this. 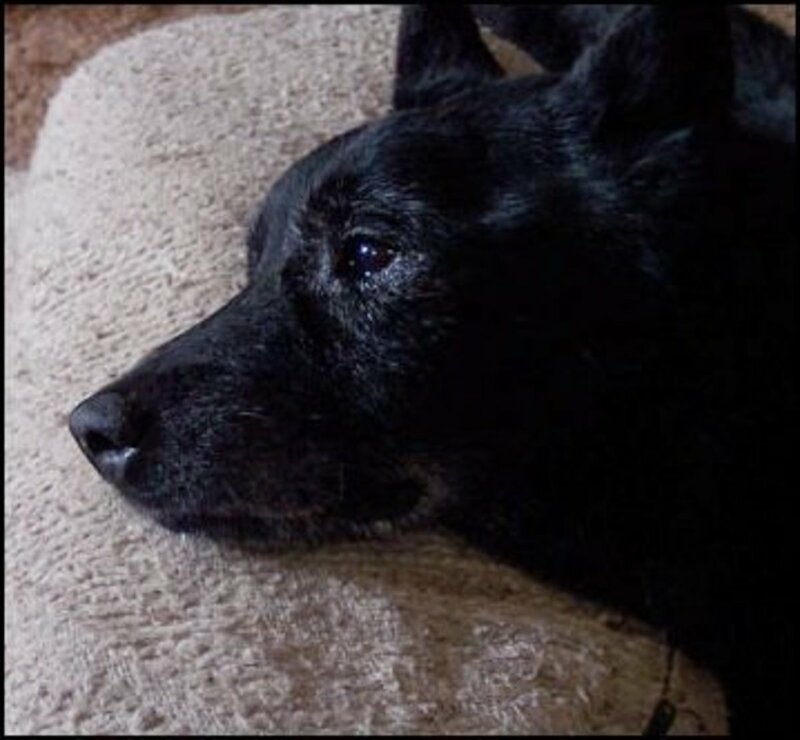 There have been cases where vets have told their clients to take a wait and see approach because the lump was small as a pea or just because they dog has had many similar lumps in the past and they all turned out to be benign. It's easy to get a sense of false reassurance just because the dog has had many lumps in the past and they turned out being all benign. 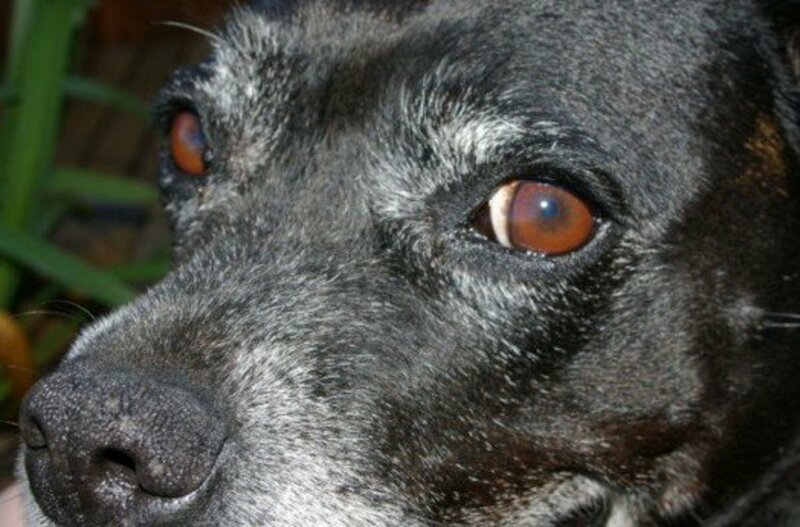 There are countless stories though of dogs who end up with cancer just because of that "wait and see" approach. What happened? In many cases, the owner wasn't too diligent in keeping an eye on the lump until he notices it's three time its size, or the owner may have forgotten how it looked like in the initial visit six months prior (it helps to take routine pictures and measurements of the lump to keep track) . A needle aspirate is then done and pathology report reveals the big "C" and the vet calls the owner who is in disbelief. The surgery now is much more invasive than it would have been if this was caught earlier and the prognosis may be guarded. If the owner waited a bit more, the cancer could have metastasized to internal organs which could have been a death sentence. Not a nice ending to a story that could have had a totally different outcome! The bottom line? Play it safe and have your vet check the lump. 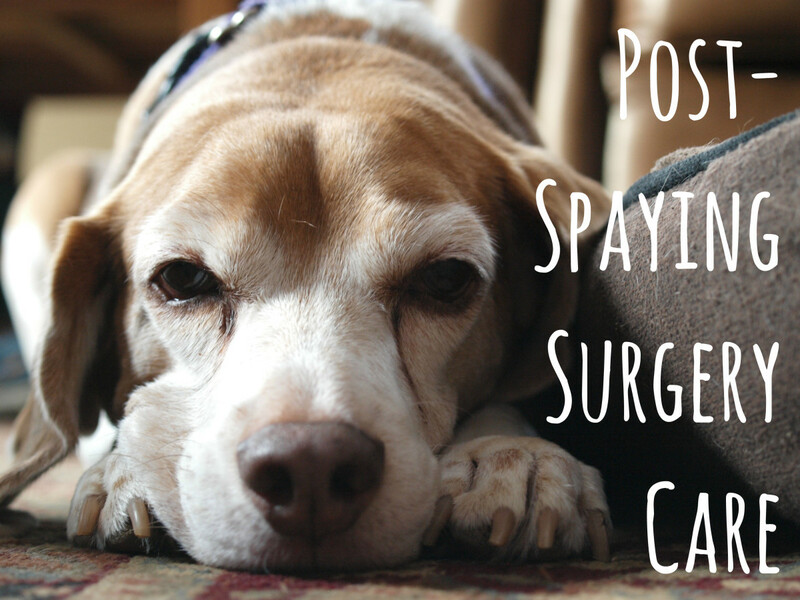 Chances are high, most vets will recommend a fine needle aspiration. 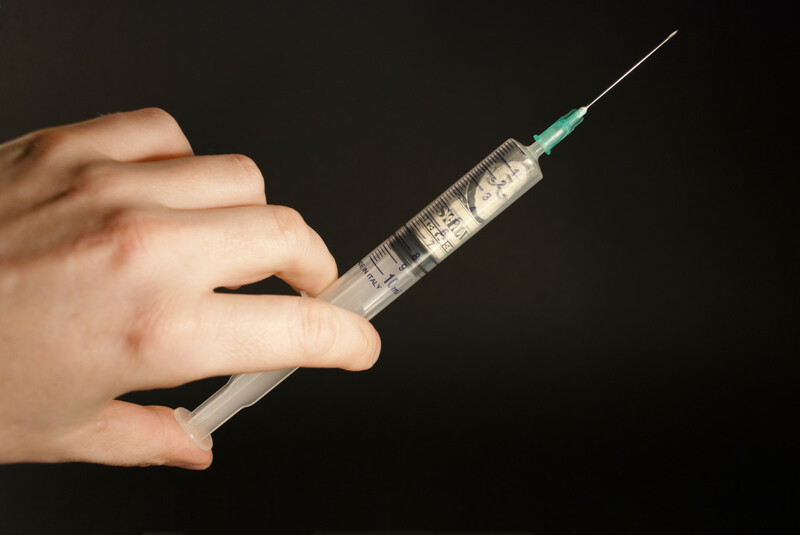 If your vet tells you to remove the lump surgically without doing a fine needle aspirate first, consider that the surgery can be a shot in the dark--meaning risky business. Always have lumps removed once you know exactly what you are dealing with! Why? you may question, isn't it good to remove the lump once and for all? Thing is, depending on what the lump is, the surgeon will need to take a conservative or a more aggressive approach. For instance, in the case of a mast- cell tumor, the skin will need to be excised with a very wide margin; whereas, with a benign growth that bothers your dog a small cut may do. VeterinarianKaren Becker suggests to always get a confirming diagnosis so the surgery can be carried out accordingly based on the type of tumor. A last piece of advice? If your dog turns out having cancer and you can afford it, your best bet is to have a specialist deal with the surgery. This way, your dog will be in the best hands possible and you up the chances for clean margins and a potential one-time surgery. Disclaimer: This article is the result of my research and should not to be used as a substitute for professional veterinary advice. 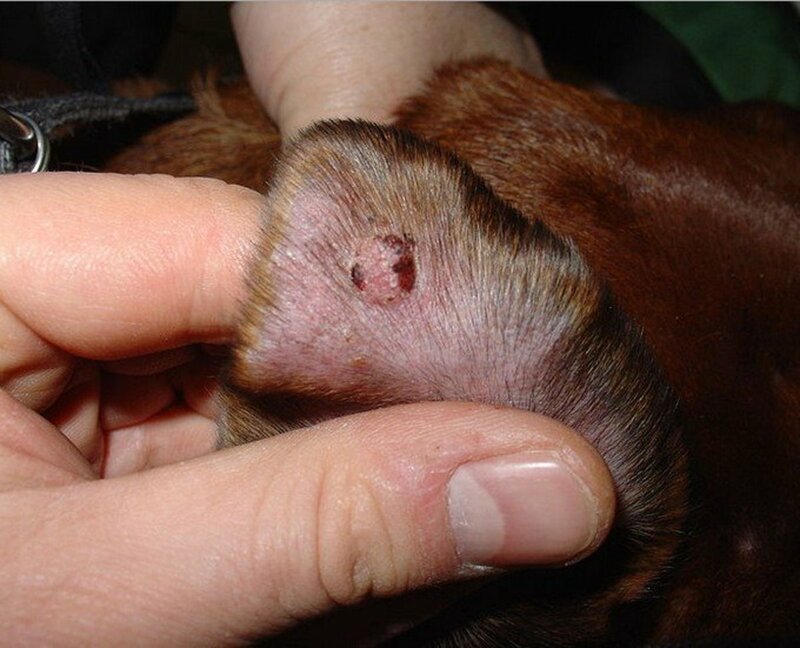 If you have noticed a lump on your dog, please play it safe and have it checked out by your vet. Never try home remedies to shrink a growth without ruling out cancer and consulting with a holistic vet first! 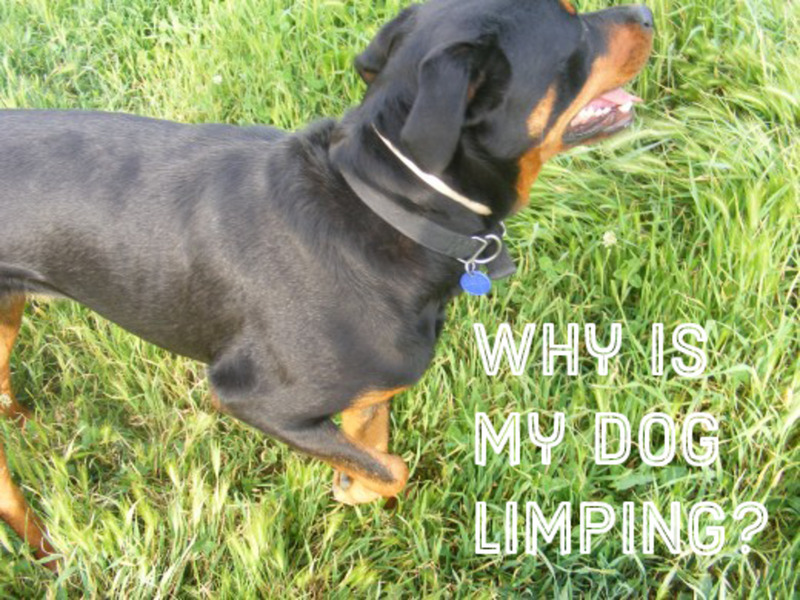 What do you do when you find a lump on your dog? Hello MarieLB, thanks for the update. I don't remember if last time when we talked I had my female's lumps or my male's checked. I'll post both: my female ended up having 2 lipomas and a follicular cyst. Was told to monitor them. My male turned out having a benign melanoma on his leg, we removed it as it was bothering him. Luckily everything was benign:) Oh, and about the fur color changes you are seeing, they are not unusual after surgery. We often had people reporting them to us. If I recall well, it's something that has to do with the hair follicles, producing a different texture/color from the skin being injured during surgery. Hi Adrienne, My apologies for neglecting it seems [I thought I had done this] to let you know the results on Goldie. The vet suggested that we have all four lumps removed, which he did. The large one -abt 3cm diameter- left quite a gash, but the others were smaller gashes and healed quickly. The lumps were not cancerous. The vet mentioned sebaceous glands. . . One curious fact is that where the wounds were, Goldie has developed mid-brown fur. She had been a light blonde with touches of gold in some areas, now she has tufts of brown! She has recovered well. I have noted a small nodule, and I am keeping tabs on it. How about your dog, Adrienne. You were concerned about a lump and were looking to get a second opinion. Hope it all turned out well. Thank you for a great article. You keep reminding us that you are not authorized to give advice, but through our experiences with your writings, many of us put much store in what you say and how you say it. It is very helpful indeed. I am not a vet so cannot diagnose anything or provide treatment advice. All I can say is that back when I worked for the vets, every now and then, there were dogs who developed abscesses that required repeated treatments. This was happening when bacteria were still trapped under the skin, there was a foreign item stuck under the skin that got left behind, the antibiotics didn't cover the right strains of bacteria or the bacteria was somewhat resistant. Perhaps a culture and sensitivity test may be helpful if that wasn't done yet, to determine what you may dealing with, so perhaps ask your vet if he/she believes that's something worth trying at some point? Sounds like he/she is taking a wait and see approach for now to determine if the lump goes down with the compresses. Best wishes for a speedy recovery, keep me posted if you wish! My 4yr old Yorkie ("Abby") had a 'puncture' wound similar in size for that of a pencil eraser and it was painful, very painful. Our Vet placed her under anesthesia to clean the wound and check for possible debris. We have no idea what caused this wound, but gave Abby 2 wks of antibiotics, along with 'doggy Tylenol' and warm compress treatments. The wound healed beautifully...but...NOW Abby has a rather large (1 inch+) lump to the left of the original puncture wound. Returned to Vet and advised to continue warm compress treatment. One week later: the lump has grown and is warm to touch, which usually means an infection. Something isn't adding up... This lump did not exist until *after* the puncture wound healed, along with 2 wks of oral antibiotics. I very much appreciate the "canine lump documentation" download, as I will use this now and any future issues that might arise. Any personal feedback, suggestions, thoughts, etc are welcomed with gratitude by a worried "Yorkie-Mom" ~thanks! MarieLB, let me know as well what your vet's finding are, fingers crossed they're nothing major! Thank you for this very useful hub and for sharing the excellent advice. My dogs have had lumps over the years. They were all benign except for one, which was luckily removed in time. I always take my dogs to the vet when a lump appears, as you recommend. I am due to go in a few days. Last 2 years she only had one that I was aware of and each year I ask the vet and they both said "Don't Worry". But now she seems to have other, smaller ones and I am worried. I had to wait until I knew I could pay for any lab tests, which I know are very pricey here. Your chart is going to be very helpful in this matter, thanks. I do hope your dog has nothing alarming. Let us know the results pls. Good luck on the lump Marielb! My dog is seeing the vet for a lump tomorrow. I needed a second opinion. Hi Alexadry, I just cannot tell you how useful your article is to me. It is just what I needed and have printed your "lump map" ready to take to the vet next week. Thanks for the great work. You are so right, we need to be the voice for our pets and take action when we notice something out of the norm. Lumps in dogs are nothing to take lightly. Another excellent hub with excellent information. Like babies, dogs can't tell us how they feel so the best way to be sure about something you are unsure of is to head to the vet. I'm always worried there is pain involved so I want to be sure. They seem to increase as the dogs age. My dogs never seemed to have any until they officially turned senior. At age 7, already found 2 in my female and one in my male:( I always tend to over worry when I find one. I have a chihuahua mix. Luckily he hasn't had very many issues with lumps yet. Great information here! Voted up and interesting. So far, every single lump or bump my dogs have had they were aspirated by the vets. And I am happy it's been this way, as I can't relax until I know exactly what they are. The only one not aspirated is a pin-point growth on a paw, but as you, I let the vet look at it every time we see the vet. I feel for you as schnauzers are prone to all sorts of lumps and bumps! Thanks for the votes up! My Miniature Schnauzer, Baby, has had a small lump on her side for over a year. I have the Vet look at it every we go for other reasons. He just shrugs and says it's probably a harmless cyst, and not to worry. She did have a new lump on her left shoulder several weeks ago, and within hours after I noticed it the lump has burst open and bleeding. Turned out she had what the Vet thought was a spider bite! I was bitten by a spider shortly before this, and her bite looked just like mine did. I wrote a Hub about that ordeal!